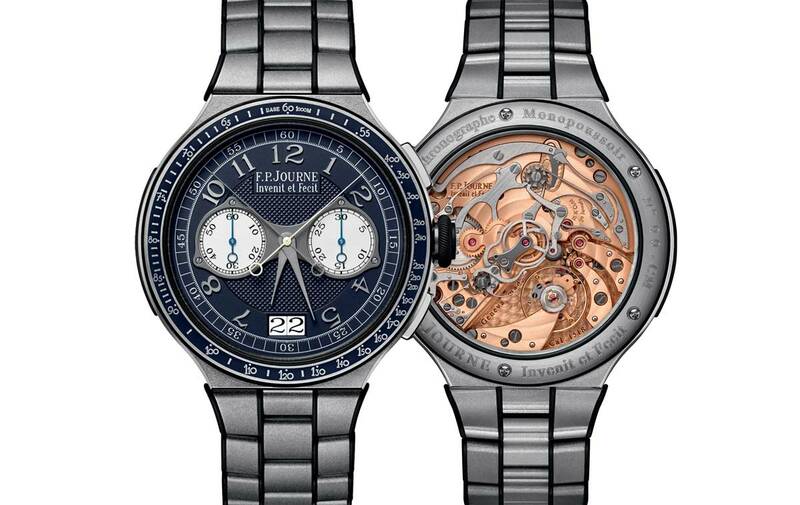 F.P.Journe expanded its lineSport collection with the new Chronographe Monopoussoir Rattrapante, available in 3 versions: in platinum, in red gold or in titanium grade 5. 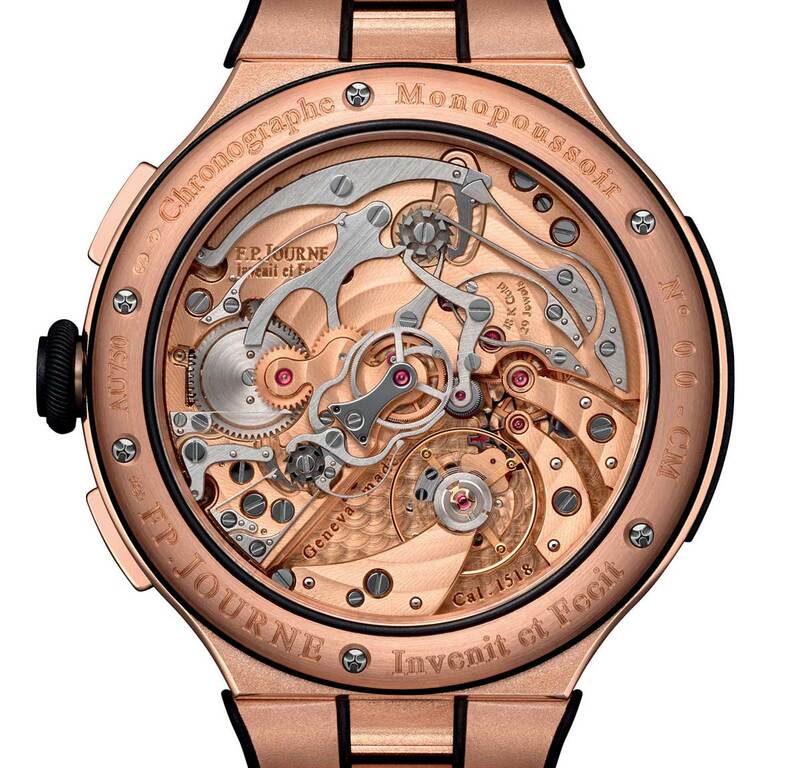 The 44mm-diameter and 12mm-thick case encloses the new monopoussoir split second chronograph movement made in 18K rose gold for the platinum and the red gold versions and in aluminium alloy for the titanium version. 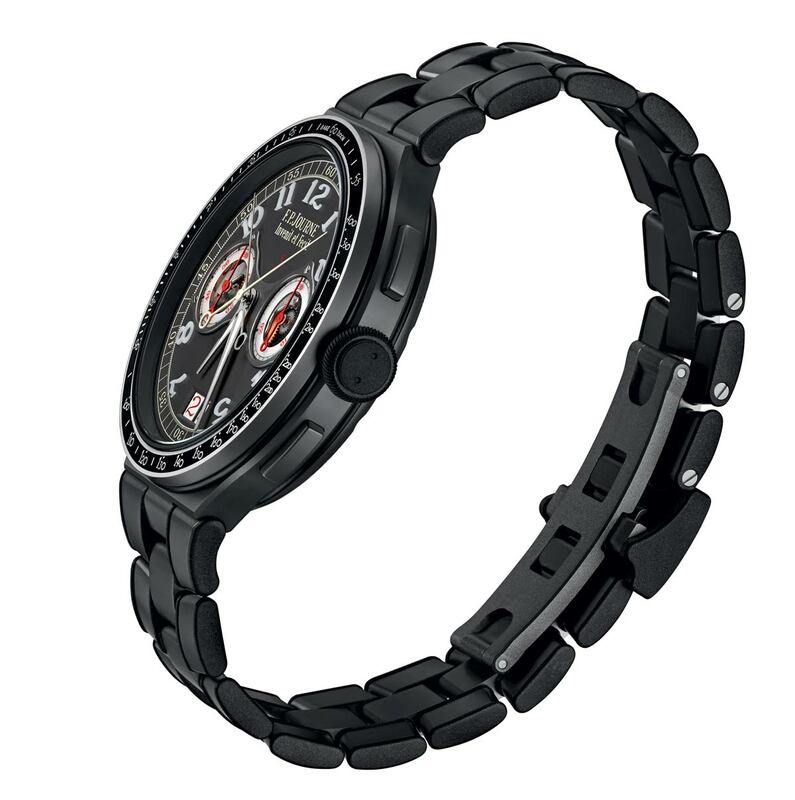 The tachymetric bezel inlaid with ceramic enhances the sporty character of the model. 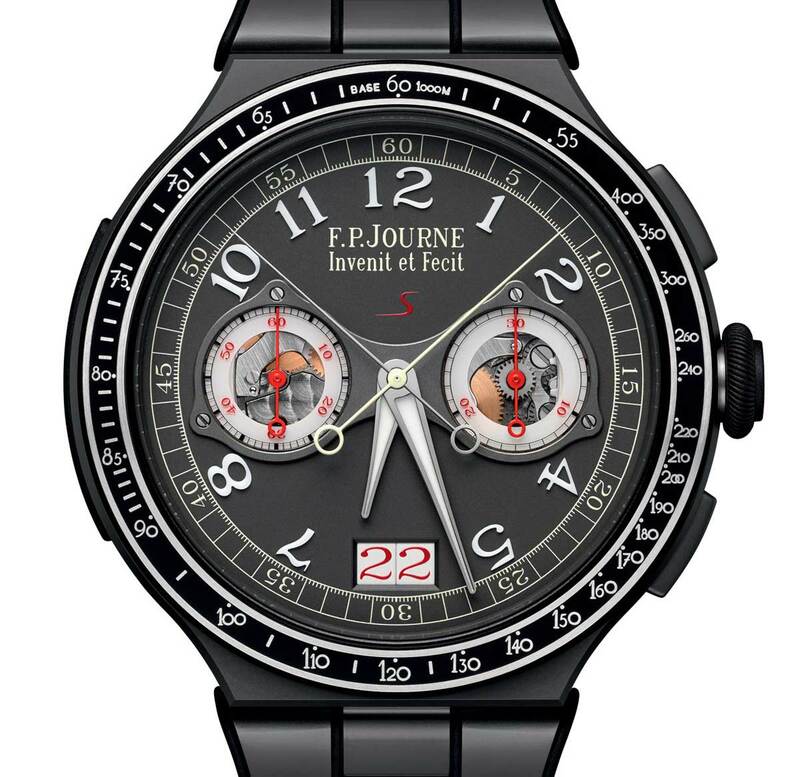 Beating at a frequency of 3 Hz (21,600 vph), the hand-wound F.P.Journe Calibre 1518 features a power reserve of 80 hours making it possible to efficiently use the chronograph with the rattrapante function even after 2 days without being worn. It is worth to mention that, as usual for F.P.Journe, this new movement is entirely assembled by just one experienced watchmaker which performs all the assembly stages from beginning to end. The finishes are outstanding with circular stripes on the bridges, circular graining on the baseplate, polished screw heads with chamfered slots, pegs with polished rounded ends, straight-grained steel work. The split seconds chronograph function is combined to a large date, displayed in a 5.20 x 2.80 mm window to provide excellent readability. 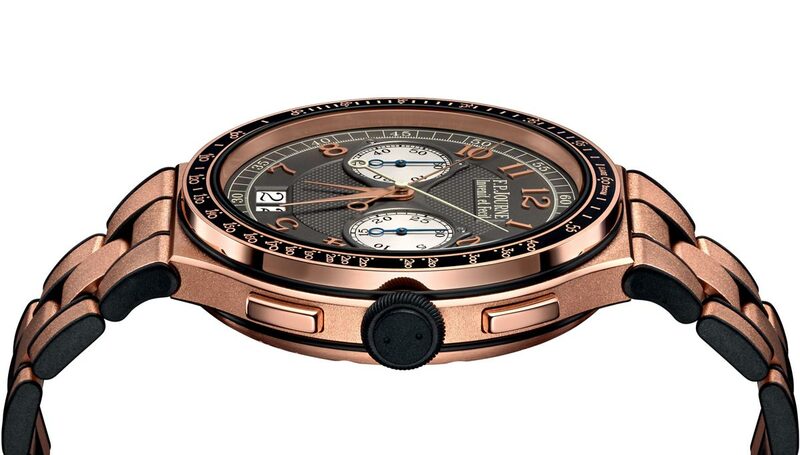 A distinctive design detail as well as a protection for the watch, the rubber inserts are fixed on the case and the links of the matching bracelet. For additional comfort and excellent adaptability to wrists of different sizes, the links attached to the case are articulated and the folding clasp allows the wearer to increase the bracelet length by approximately 5 mm. 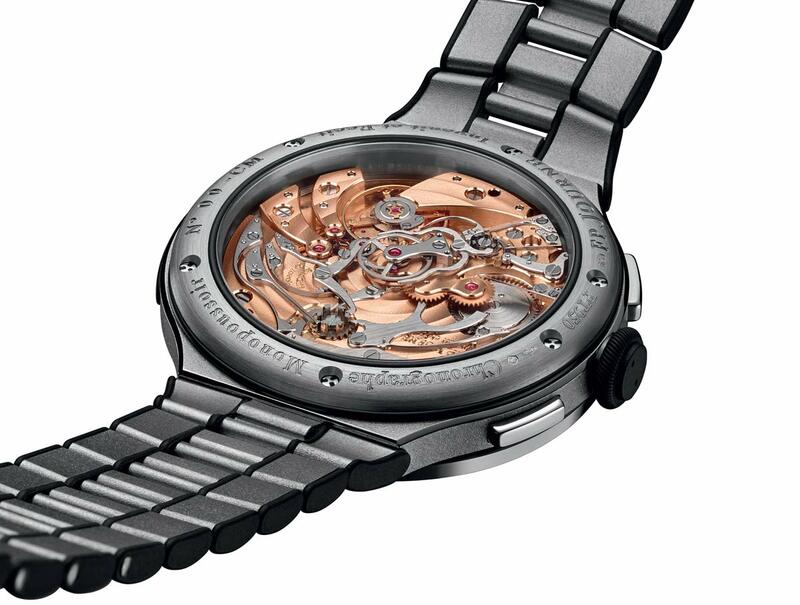 The rubber overmolded crown operates in three positions: winding, date correction, and time setting. 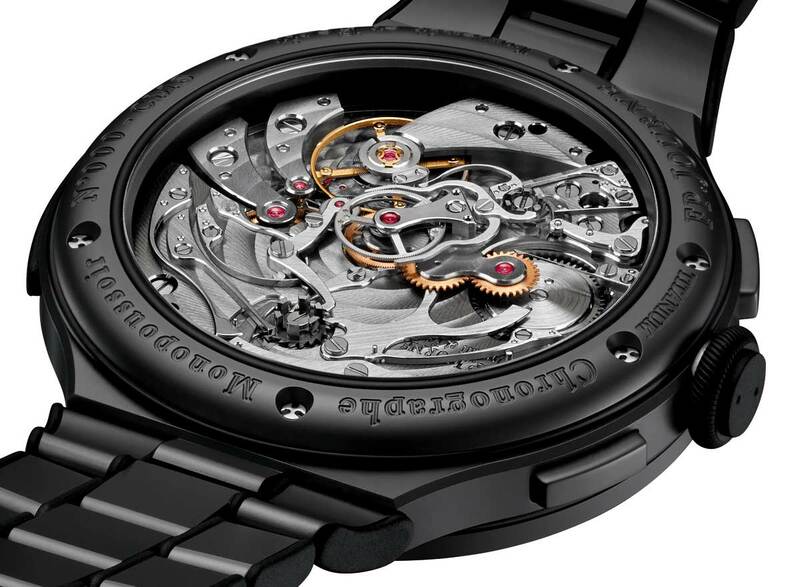 The push button at 2 o’clock starts, stops and resets the chronograph hand while the second button, at 4 o’clock, controls the rattrapante function allowing to measure partial times or a second event simultaneous with the first. 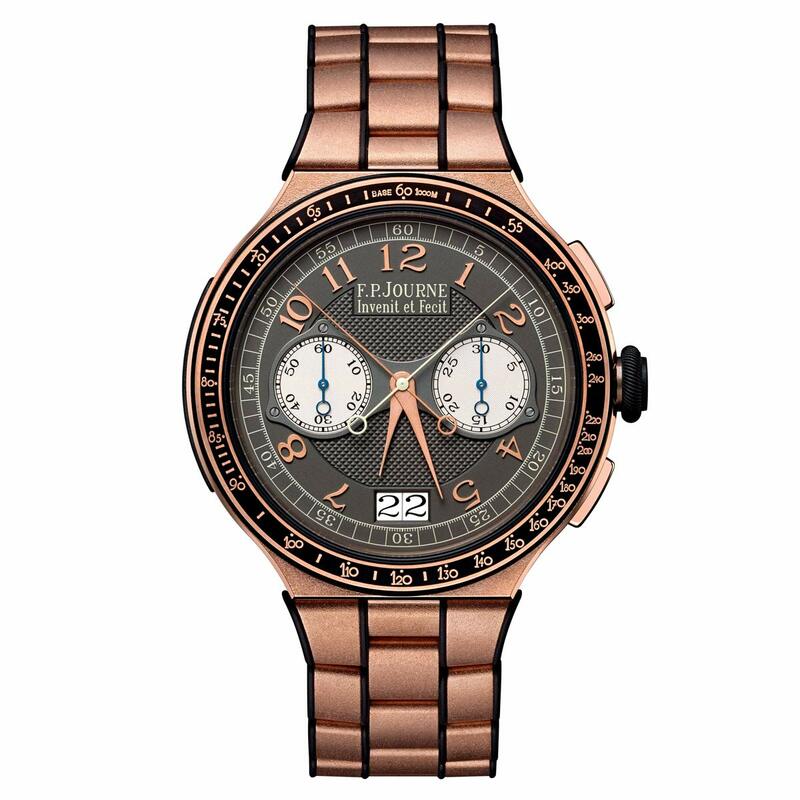 Each model version comes with a dial of a different colour: for the red gold model, a ruthenium-coloured silver guilloché dial with applied numerals in matte red gold, two silver chronograph counters and matte golden hands. for the platinum model, a blue mauve-coloured silver guilloché dial with applied numerals in matte white gold, two silver chronograph counters and matte rhodied hands. 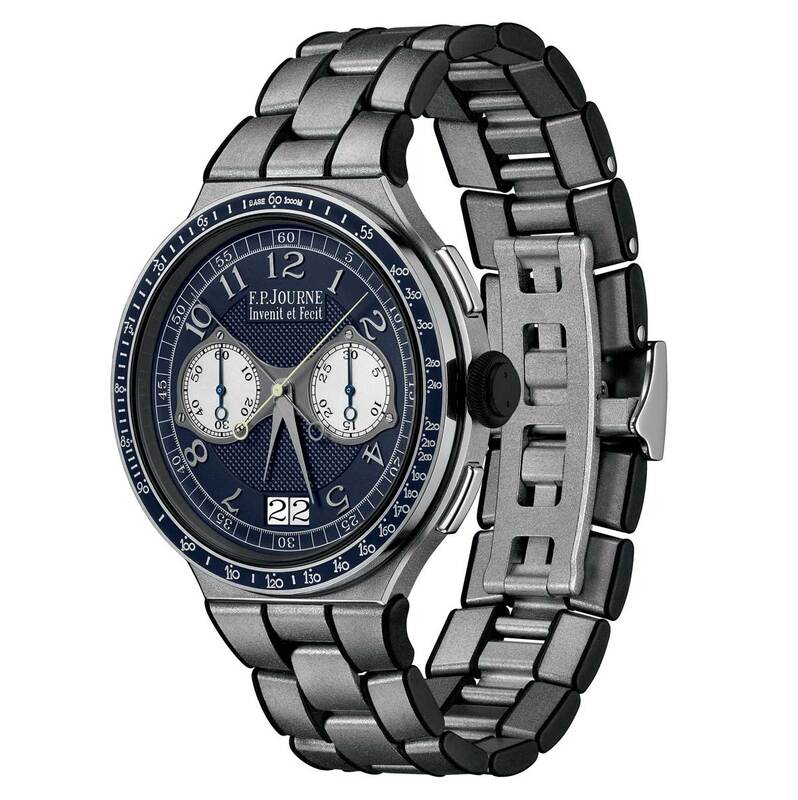 Finally, for the sportier titanium model, the dial is crafted from an anthracite-coloured aluminum alloy with applied numerals and hands treated with Super-LumiNova as well as two chronograph counters in engraved sapphire. 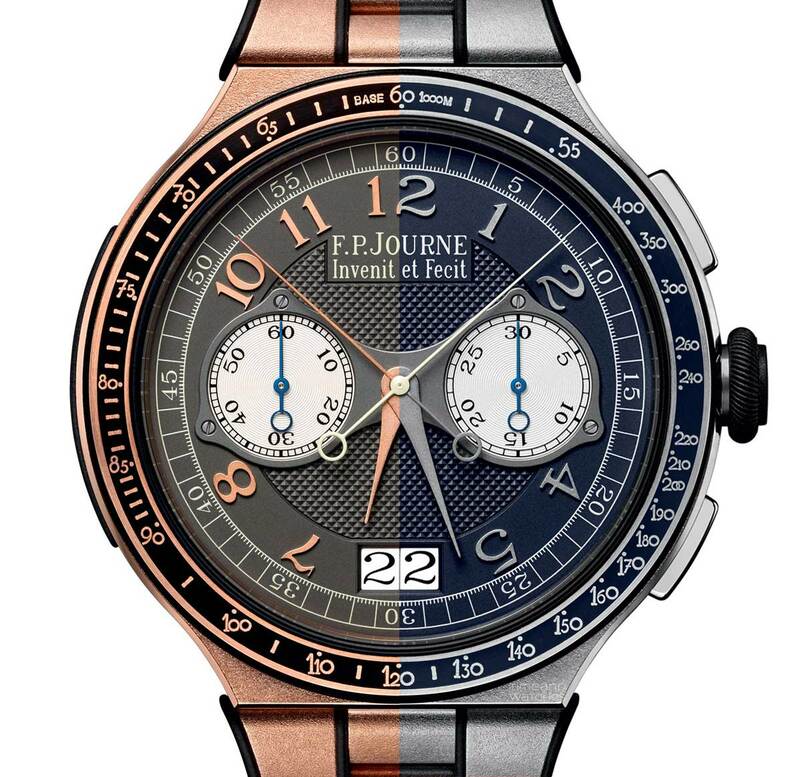 This article was first published in Time and Watches Magazine: F.P.Journe – Chronographe Monopoussoir Rattrapante. Thank you very much.